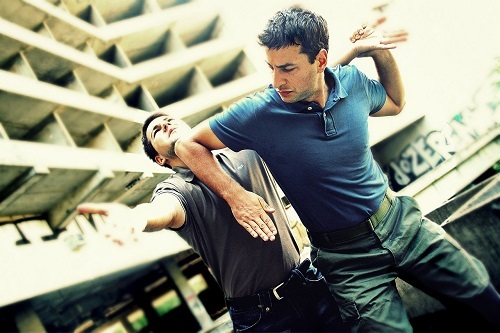 Being able to defend yourself is a valuable skill on the streets where chances of an attack are not really rare. While women and teens are the ones that usually get recommendations to learn self-defense through martial arts classes, even adult men can greatly benefit from it. Baltimore MMA experts say that the good thing about learning MMA and self- defense is that everyone can be trained for it, given the physical stamina and discipline to follow through classes and sessions. There are different styles of martial arts, each one offering unique offense and defense tactics, which you can use in different situations. Here are some of the top self- defense moves that everyone can learn. Their simplicity and easiness of execution make them the best moves for whatever situation requiring self- protection. This is basically extending your legs to kick someone in front who is about to attack you. A simple kick with some force can be very helpful to keep your attacker at bay and maintain a distance between that person and you. A kick to the stomach or the hips can also cause a considerable blow to your attacker. The kick can come from the front of your side for more force. This is also easy to execute and you do not need space preparations. Done by hitting your attacker using your open hand and your palms to strike the blow, this is often recommended, especially for beginners as it can cause little damage. Punching an attacker with a close fist often cause broken fingers and muscle injuries. The open hand palm strike technique lets you land multiple blows without injuring yourself. As well, an open hand covers more areas and can be very flexible for any surface strike. Commonly seen done in movies and in self-defense demonstrations, the take down is perhaps the most famous self- defense move. To do this, close in distance with your attacker, grab the shirt, or the triceps/collar bone, and then pull your legs behind their legs while pushing their upper body down to get them to the ground. This technique is highly effective as it provides you with the advantage of still standing up while the opponent is down. However, the close distance requirement may also give way to risks. Great for countering lazy tackles, this is done by sliding your arms under the neck of the attacker and then grabbing your fingers for that grip choke. Having their back pinned against a wall is a great way to tighten your choke. Known as the great equalizer as it can be used for someone your size or bigger than you. This is done by putting your arms around the person’s neck from the back, grabbing your other arm’s bicep, and putting the hand behind their head to create a choke. These moves are highly effective, especially if you train for their proper execution. Make sure to stay protected. This entry was posted in Other Sports and tagged MMA, Self Defense. Bookmark the permalink.